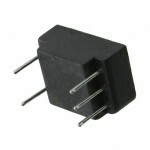 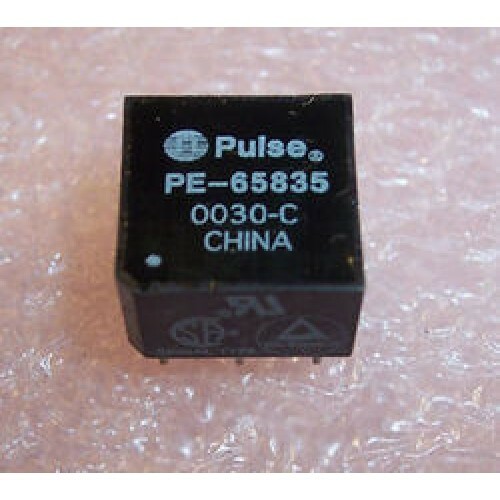 Buy online PE65835 Pulse Transformer in India at low price from DNA Technology, Nashik. 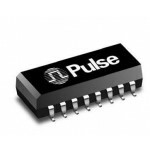 Pulse transformer for some applications also gate transformer or gate drive transformer or trigger transformer or wideband transformer or signal transformer is a type of transformer optimised and designed for transmission of voltage pulses between its windings and into the load. 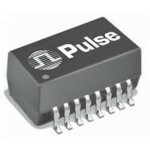 Pulse transformer is basically used to provide isolation in application where small burst of rectangular pulses are needed. 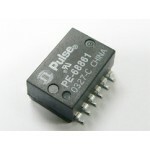 Pulse transformers can be used for signal transmission, low-power control circuits, camera flashes, radar systems, high-power switched-mode power supplies and other fields where pulsed form of relatively high voltage along with isolation is required. 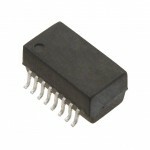 PE68861 Pulse TransformerFeatures of PE68861Dual SMT package contains both transmit and receive tran..
PE68048 Pulse TransformerWhat is Pulse Transformer?Pulse transformer for some applications also gate..
PE65798 Pulse TransformerWhat is Pulse Transformer?Pulse transformer for some applications also gate..
PE64936 Pulse TransformerWhat is Pulse Transformer?Pulse transformer for some applications also gate..
T1023 Pulse TransformerWhat is Pulse Transformer?Pulse transformer for some applications also gate t..